Something that you will probably not consider too seriously (but totally should) when studying abroad is what you plan to do with yourself afterwards. After being here a few months I’ve realised that there are three main branches to this – the Education First, the Tourist, and the Not Leaving branches. These are of course geared towards non-EU students doing their entire degree abroad and not study abroad, as it’s all much different and sometimes easier if your country is a part of the European Union. It’s important you figure out early on which one you are, especially if you’re on a limited budget, so you know how to make the best of your year. Let me explain through broad, sweeping stereotypes of the groups. The Education First is at this university because it was the best option for their career choices. They can love, hate, or be indifferent towards this new country because they already have a goal workplace in mind (or lined up for them if they’re lucky). This person will go to events and see cultural attractions if it’s reasonable or doesn’t upend their workload, because their priority is first and foremost towards their education. Depending on the situation, they’ll go home for the long holiday periods and may go home for their dissertation if it’s economically feasible. This student will likely be the one with the smallest sum of student loans, because they’ve been planning in the long term what they want to do with their life. The Tourist is likely planning on going back to their home country after their degree, but they may try for a job in their host country. Regardless, they aren’t entirely sure when they’ll be back in this new country and want to see and do as much as they can with this definite period of time. They will be travelling to see new cities every other weekend and out on the town as much as they can. They’ll likely try to make as many friends (and memories) as possible because this is a liminal year and should be lived to the fullest. This student will want to save up as much money as possible beforehand and be chill about cheap accomodation and odd hours for inexpensive transport options. The Not Leaving is decently versed in visa regulations and is determined to become one of the limited accepted immigrants into their new country when their degree is done. They will likely be jockeying for anything to tack on their CVs that will make them stand out and will (like the Education First) be hesistant to going out on many adventures across the country. It’s not that they don’t want to go, but they see it as something to be visited later when they’ve got jobs and instead save the money for the few months post-degree that they’ll be applying for work before the student visa runs up. These students will want to save up money like the Tourist, but hoard it for the costs that trying to stay inevitably drag up. I can finally chill out and enjoy my last three weeks! (And everyone can breathe a sigh of relief that I have nothing to panic over anymore. 😉 ) I’ll now bring you back to the original post due up today – just had to get the good news out before we hit Yellowstone for the weekend and I disappear into a service-free zone. Let us speak about pants and other adventures in the changes of English. You know, there are all those US-UK translation guides, but at this point surely everyone knows the whole “a fag is a cigarette” and “a bum bag is a fanny pack” and not to mix the two. Honestly though, I don’t smoke and the hip-held bags have not been hip since the middle of the 90s. What would be useful would be to explain such things as PANTS on a more regular basis. There are a lot of slang words that just haven’t crossed either direction and I’m still having to ask for definitions. Hopefully I have learned to safely avoid unknown offensive words, which unless totally confident will consist of my non-acknowledgement of any ethnicity or race. At times, I really think it’d be easier having to actually learn an entirely new language than this shift between Englishes, but it’s entertaining at times too. I remain convinced that American English and British English are not homogenizing, but instead are continuing to separate into different languages entirely. Maybe within the next 250 years. This will be the one to kill me, I swear. Not a peep from the VAC about it being posted via SMS, email, or junk mail (I assume physical post?) Don’t have a receipt from the VAC with any number to track either. From what I’ve found, they can take up to 10-15 business days to send it out, so it might be sitting around in New York until August 15th for all I know. Ugh, whatever. As long as it gets here before the start of September. Surely to god it doesn’t take a month to send an already approved visa and passport back? Anyway, may as well focus on something brighter and more useful, so I thought I’d tell you all about my family and our history of hosting exchange students. We have had exchange students nearly every year since I was 15 – almost a decade now. I have been honored to learn from students from Germany, South Korea, Finland, Switzerland, Thailand, and Mexico while they lived with us for nearly a year. Living with internationals can sometimes be rough at first as you both get a crash-course in cultural differences, but by the end you have a new member of the family. I cannot help but believe that this unique experience has led me in the direction to where I am going now. I cannot recommend hosting an exchange student enough. 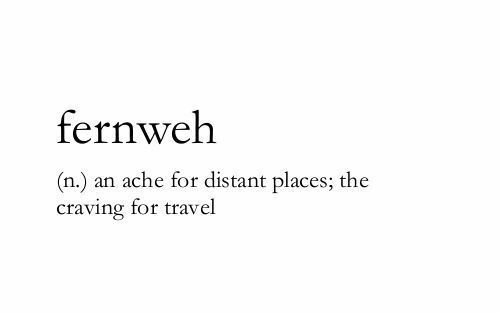 You learn so much about their worldview as well as your own (and oh are teenagers brutally honest), and it’s the closest thing to broadening your mind with travel if you cannot afford to travel yourself. You will be wiser on current events around the world and start to see the US from a foreign perspective. You get to try delicious food they cook and occasional sweets when family back home sends care packages. (Germany has excellent chocolate, and Finland’s cloudberries are amazing!) You will learn that language alone can greatly dictate a worldview and get an idea for a culture by the language they speak. (You will also learn the useful skill of defining abstract concepts in English to students that don’t understand the words.) You realize that other people in the world are different – not weird, not wrong, not right – just different. If you’ve ever considered hosting an exchange student, let me recommend the programs we went through – Youth For Understanding (YFU) and Education First (EF). Hosting a student is not nearly so expensive as many people think. At the bare minimum you are only required to provide a separate bed, suitable study area and three meals per day. However, they quickly become another member of the family and you’ll end up treating them just the same. People do the programs for many reasons – to just enjoy the experience, to expand the minds of their own family, to pay it forward, to stave off empty nest syndrome, or even for the chance of a scholarship to be exchange students too! And an important point – you aren’t just given a kid with no warning. You get a list of potential students to pick from with all kinds of important criteria you can sort through like age, religion, home country, gender and hobbies. 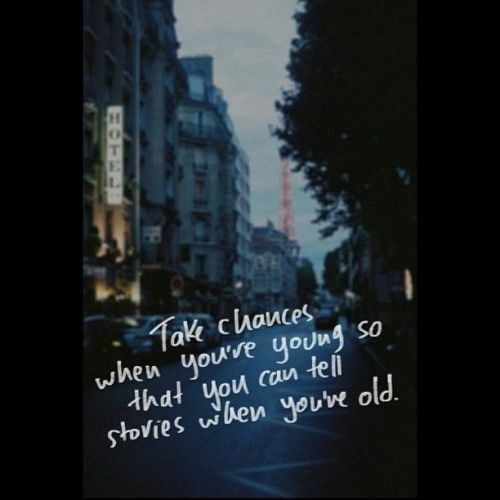 Take chances when you’re young. So I’ve sent them an email this afternoon to see what’s up. I can hope that USPS just goofed and didn’t get the tracking in, but I fear my passport is still sitting in a drawer somewhere in New York when I’m supposed to be outta here in less than a month. No bueno. No bueno indeed.